Google's parent company Alphabet (GOOG, GOOGL) reported its Q4 2018 earnings on Monday, and while the tech giant beat analysts' expectations with $31.85 billion in revenue, spending increases in areas including cloud, hardware and its "other bets" put the squeeze on margins. Despite the revenue and earnings beat, Google was down in after-market hours Monday, and continued the trend into the next trading day. But Google's spending is purposeful and could pay off significantly in the future, especially if it helps reduce the company's reliance on ad revenue as competition from Amazon (AMZN) and Facebook (FB) continues to heat up. Google is a cloud business. Every time you interact with the company, you're accessing its cloud. But Google's commercial cloud business is surprisingly small. Amazon's AWS cloud platform pulled in $7.4 billion last quarter, while Microsoft's (MSFT) Intelligent Cloud raked in $9.4 billion. Google doesn't break out its cloud services earnings, but instead lumps it in with hardware sales from its smartphones and smart home devices and Google Play Store sales. Combined, that segment produced $6.5 billion in revenue. In other words, Alphabet's actual cloud revenue is even smaller than that. In the enterprise cloud arms race, Amazon is king, followed by Microsoft. Google, meanwhile is back in third place. This is why the company is investing so heavily in its cloud offerings. According to Alphabet CFO Ruth Porat, the company saw increased expenses in hiring for technical and sales employees related to the firm's ongoing cloud efforts. The truth of the matter is, if Alphabet is going to continue to compete meaningfully in the enterprise cloud market, then it's going to need to hire employees to ensure the cloud works, and bring on sales people who can sell businesses on the tech giant's services. Alphabet also spent heavily on research and development in the quarter, with the majority of the growth coming from new hires. The company's Other Bets losses also increased to $1.3 billion in the quarter, up from $748 million in the same quarter last year. Other Bets includes Alphabet's various businesses such as its self-driving car unit Waymo, its health-centric Verily division and Google Fiber and Project Loon. Of the four offerings, Waymo looks poised to offer the most return on investment. Porat noted that Alphabet began offering its Waymo One self-driving cab service in December, which will provide much-needed data on now riders will use such services. Beyond Alphabet's Other Bets, the company also saw increased spending for content acquisition for its advertising support content, as well as newer subscription offerings for YouTube TV and YouTube Premium. But Alphabet's spending in each of these areas is a well-calculated move. If the company is going to push further into the enterprise cloud to take on the likes of Amazon and Microsoft, it's going to have to lay out some serious cash to grow its offering. The same can be said of Alphabet's Waymo, which will require significant investments in the coming years. Finally, Alphabet's YouTube spending will ensure that the division's video offerings can compete with the likes of Netflix and Hulu, the later of which offers a live TV component like YouTube. YouTube's ad revenue also continues to grow, so it behooves Google and Alphabet to put more money behind the service to ensure that it can get attract as many users as possible, and build on those numbers. 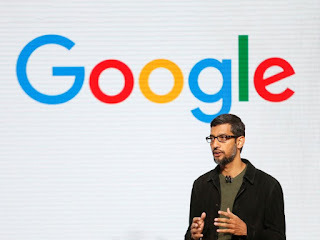 Alphabet also had to spend on marketing and sales of its Made by Google line of products including its Pixel smartphones, its smart speakers and its Nest smart home devices. Google's smartphones, however, are unlikely to ever put up much of a fight for heavy hitters like Apple or Samsung. 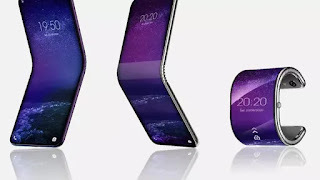 The handsets are more like reference designs for what Google's Android operating system is capable of. Its smart speakers, however, have the potential to take off if it can build greater name recognition. Amazon's Alexa certainly has it beat in the category. But according to Consumer Intelligence Research Partners, Google’s marketshare in the smart speaker market has stayed relatively unchanged through the last few quarters.